At Mt. Harrison Audiology, our top priority is to provide the most advanced, compassion-driven hearing care to all our patients. That’s why we are proud to offer you a groundbreaking cochlear implant in Twin Falls, ID. We serve adults and children as young as 12 months old. We know that proper hearing is necessary for every aspect of life and that those with hearing loss are affected at home, at work, and in the community. 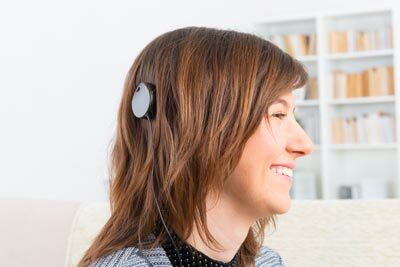 There are times that hearing loss goes beyond the use of traditional treatment methods, and implantable hearing devices, like cochlear implants, can often help. After your complimentary consultation, our experienced team will perform an evaluation to see if you are a candidate for cochlear implants. We will then coordinate the implantation process with a highly skilled ear, nose, and throat surgeon. Once the implants have been placed, we will activate and ‘map” your device to ensure it’s customized to your specific needs, and also take care of any necessary follow-up servicing. Each patient can expect to undergo an adaptive process with several follow-up appointments for education, mapping, and making the transition as simple as possible. Find Out More by Scheduling Your FREE Consultation for a Cochlear Implant in Twin Falls, ID, Today!